Voice over internet protocol (VoIP) software uses an IP network to transmit phone calls, and in some cases video calls and other messaging, seamlessly without the need to connect to an extra network. It is a modern form of PBX, short for private box exchange or private branch exchange, a broad term for private telephone networks within organizations. Businesses can utilize VoIP solutions as a reliable means of voice-based communication that leverages a pre-established internet connection. It enables calls between workers on the same network and to external clients or vendors. For organizations with a complete VoIP system, the technology can be used by employees at every level for their basic communication needs. These solutions save the company and its employees money and the hassle related to standard phone hardware and membership plans. VoIP solutions provide base level call features along with other helpful features depending on the service. VoIP is integrated collectively into company systems, and users can often access features through a plugin on their web browsers or by connecting to the network through a personal phone using their internet connection rather than a wireless network. Depending on the VoIP provider, it may work in conjunction with specially designed hardware or be hosted in the cloud and not require additional hardware. VoIP software may integrate with other platforms such as CRM software to give users easy access to important customer information during calls or web conferencing software to add increased functionality for multiuser video meetings. Conferencing tools will occasionally allow attendees to use their VoIP connections for optimal performance and call quality. Certain VoIP solutions offer features of web conferencing and team collaboration software, such as multiway video chats and instant messaging but only within the established network. VoIP reviews by real, verified users. Find unbiased ratings on user satisfaction, features, and price based on the most reviews available anywhere. Hosted or Cloud Telephony is being adopted by an increasing number of organisations as a means to refresh to their communications technology and a boost to competitive advantage, without the need for large capital investment. 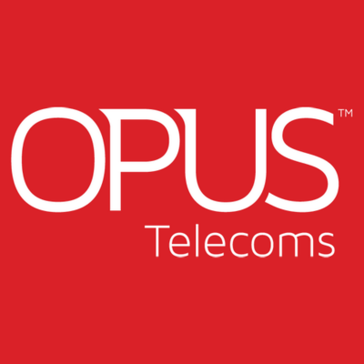 Opus offers a complete suite of connectivity solutions, from business lines and calls, through to high speed broadband, Ethernet First Mile, Generic Ethernet Access, Fibre Leased Lines and MPLS/VPLS circuits. As one of the UK's leading VoIP providers, we provide business telephone systems for companies of all sizes. Ottspott is a flexible cloud phone system for agile and collaborative teams. Easy to install on top of your Slack or G Suite account, it offers all the telephony and call center features your company needs for more sales, a better support and an accurate monitoring of your call activity. Aragonese company leader, specialized in business consulting services, technological, digital and outsourcing services. The Nordic region's leading telephone system replaces the traditional switchboard. At pascom, we upgrade business communications. Our phone systems provide you with a centralised, intelligent hub packed full of Telephony, Unified Communications and Contact Centre functionality to ensure you can gain complete control over every aspect of your business communication requirements – on-premise or in the cloud. The best bit; as we believe in delivering excellent customer service, all our business communications and collaboration tools are included as standard. Coupled with our industry unique Concurrent User licensing, your business will also benefit from unlimited users, channels and endpoints and only pay for what you actually use. No matter your deployment type, our solutions are available at the fairest, most cost-effective, business friendly price in the industry. Visit our website (www.pascom.net) and start upgrading your business communications free today. Phonebooth is a lowcost full featured business phone system. Pay for as many users as you need and add users as you grow. For just $20 per user per month you get unlimited local and long distance, with the business features that you need included. Autoattendants, voice to text email transcriptions, conference calling, call forwarding and much more. PizzaCloud has one primary business: We help pizza restaurants lower their phone bills and increase sales through improved phone handling, new features, advanced reporting, and managed network services. We are a national VoIP/Hosted PBX company, based in Dallas, TX. We provide enterprise-grade phone systems and phone system features, such as advanced call routing, call queues, IVR/Virtual Receptionists, etc. We have a mobile app to allow you and your employees to travel all around the world and still make/receive phone calls, check voicemail outside the office, and transfer calls back to the office from halfway across the world. eFax, call center agents and supervisors, and many more features are included with our month-to-month (no annual contract) service. PRP Services is the leading cloud communication provider in India, helping businesses grow with improved communication systems. Our gamut of services includes Bulk Messaging Solutions, Short Codes and Long Codes, Voice Call, Cloud/Hosted PBX, Missed Call, Toll Free Number and Request-a-Call solutions. Rainbow’s hybrid cloud platform brings all your collaborations and communications to one place and makes your work seamless & efficient. Rander is CTI software integrated with Panasonic PBX. (What is CTI?) Rander brings together the two main communication tools - the computer and the telephone. JOIN HUNDREDS OF BUSINESSES THAT RELY ON RINGROOST TO POWER THEIR COMMUNICATION. Voice over Internet Protocol (VoIP) is a methodology and group of technologies for the delivery of voice communications and multimedia sessions over the Internet. It ensure optimal supply chain efficiency from the manufactures to the various distribution networks with cloud based web and mobile solution suite. 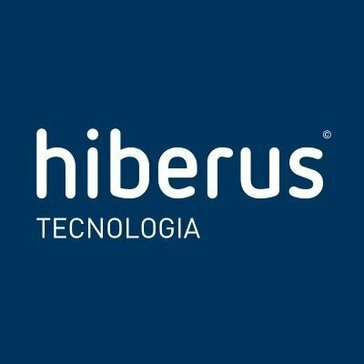 Collaborative software that helps the principal organization to connect with the supply chain members. Mobile software solution that helps field/sales executives connect with the organization. Enable timely flow of information, in-depth customer insights, and accurate data for faster decision-making. Builds communication services developed around people not revenue. Makes it easy to manage and customize your business phone service. Simply add devices like desk phones or smartphones, and drag features onto them to build menus, voicemail, conferences, and more. At Simple Phone Company, we build communication services developed around people not revenue. Our powerful and intuitive services are available nationwide. We are passionate about empowering our users with incredible, personable support and uniquely helpful resources. SiPalto's Business Telephone System is designed for single and multi-site businesses offering PBX features coupled with cloud functionality. SIPStation is Sangoma's SIP Trunking service providing Canadian and USA Small-to-Medium businesses (SMBs) and large enterprises with feature-rich telephony services using a standard internet connection. VoIP (Voice over Internet Protocol) can be used to deliver your physical PBX system's call traffic over the internet with SIP Trunking. Because SIP Trunking allows you to use a service that you already pay for your internet connection to deliver call traffic, it is extremely cost-effective. It's also extremely easy to set up. In just a few clicks, you can deploy your SIP Trunking solution. SIP.US is a businessclass SIP trunk service provider for IPPBX systems and analog/digital telephone adapters. Skrumble empowers small to medium sized businesses with improved team communication and collaboration through one central platform for messaging, conferencing, and sharing. SkyPhone is a smart phone number in the cloud that manages incoming calls into business & directs them to the right person in the company. Soho66 is a multi-award winning provider of VoIP telephony and internet fax solutions to businesses. We offer you a flexible solution for your business telephony needs. Whether as a hardware or software-based system, STARFACE will provide you with the perfect communication solution – everything from a single source and Made in Germany. VOIP. Hosted on Google Cloud in multiple regions giving us high availability of over 99.99%. VoIP is no longer a new technology. It's not difficult, but the benefits are huge. All you need are IP phones and an internet connection. We do the rest. Whether you have existing equipment or nothing, SureVoIP can help. Tackle provides business a 1-800 number that connects to all your phones. The Taridium ipbx is a highly capable software VoIP PBX system that replaces a traditional hardware based PBX. ipbx runs on standard server hardware, or in the cloud and does not require any additional software licenses. TDS Business offers confidence in every connection through our business VoIP phone service options. TextNation is an enterprise SMS solution that offers delivery of critical text, messages, and alerts. TollFreeForwarding offers hosted PBX, call forwarding and IVR solutions. Leaving your cell phone at home is no longer a problem. Call with your number from a friend's phone, a PC or a tablet. Create an account in the Tuenti app and, no matter whether you're a customer or not, you'll have your cell phone number and contacts on any device to call whoever you want. EBC Group provide both on-site and hosted VoIP telephone systems and offer a diverse range of functionality, from basic user systems to advanced multi-feature systems. Tyntec offers voice and messaging APIs. UnifyMe is a UCaaS inspired by the needs of SMBs and focused to improve the communication and collaboration in your team. UniVoIP has been a pioneering leader in Cloud Communications and VoIP technology. Headquartered in El Segundo, California Ð we have helped thousands of clients nationwide to shed intricate on-premise infrastructure in exchange for Cloud-hosted services. Opening the way for offices to become flexible, mobile and efficient in todayÕs ever evolving work environment. Velantro ensures end-to-end encrypted technology to provide secure communication between users and businesses. Make your business more productive and efficient, so you can start focusing on what really matters. Unified Communication and Collaboration as a Service (UCCaaS) is Verizon's hosted and managed service based on Cisco's Hosted Collaboration Solution. UCCaaS delivers business-grade communications and collaboration services from the Cloud, offering the flexibility of a premises-based solution with the simplicity of a hosted solution. The flagship product in our fleet of software solutions is VersatilePLUS+, the most versatile telecom billing package available. Virtual local phone number (also called voip did number) is like a usual telephone number. It is a service to forward incoming calls. The incoming calls to virtual number are automatically forwarded to another landline or cell phone number of that city or country which the client chooses. Buy an online phone number for personal or business use Make and receive cheap local and international calls and SMS from your computer Over 150 countries, mobile, landline, and toll-free lines supported! Vitelity offers hosted PBX, VoIP, SMS and communication solutions. Voice over internet protocol (VoIP) software transfers phone calls and video calls between internet-enabled devices or from one internet-enabled device to a landline. They can also be used to share screens, files, and engage parties in live chats. The communications are turned into data that are transmitted in much the same way we transmit email or other internet conversations. In layman’s terms, it can be thought of as an “internet telephone" which uses an internet connection instead of traditional telephone lines. VoIP providers, also known as virtual phone systems, can help companies significantly cut down communication costs. VoIP service providers enable companies to make international or overseas audio and video calls without the expensive payments associated with a landline plan. It’s also a more flexible solution that allows employees to communicate remotely or when otherwise away from their typical office space. When purchasing a VoIP product, it is important to determine if an onsite or cloud-based solution is better suited for your business. Cloud-based, or hosted, VoIP software typically requires no additional hardware and delivers calls to phones installed at your business, but it comes with a higher monthly cost than onsite VoIP options. Furthermore, most cloud-based VoIP products offer mobile applications that integrate with your business phones and allow you to make and receive calls using your data connection while traveling. Onsite VoIP systems require supplemental hardware that must be purchased up front, but it can compensate for this by offering a lower monthly cost, additional security, and more flexibility during setup. Onsite VoIP systems need both an IP-based private branch exchange (IP-PBX) and a public switched telephone network (PSTN) gateway device to function properly. The IP-PBX routes your calls to the correct phones on your network, while the PSTN gateway device converts calls from the analog signals of the PSTN to digital signals for the IP-PBX and back, as necessary. Although many people have experience using video calling platforms for personal use, VoIP products are intended to be professional solutions for meetings and conferences. Virtual phone systems must be able to share some combination of audio calls, video calls, pictures, screens, and messages. Virtual phone systems can be utilized through both public and private networks. Private networks are known to produce more reliable calls. They are accessible through various devices such as tablets, mobile devices, and desktops. They can also integrate with conference rooms to include an entire room full of people in a meeting. Phone Calls — Enables users to place phone calls over the internet. Instant Messaging — Enables users to send instant messages over the internet. Screen Sharing — Enables users to share screens over the internet. Video Calls — Enables users to place video calls over the internet. Desk-to-Desk Calls — Enables users to contact one another through mobile phones and landlines. Conference Calls — Enables multiple users to make phone or video calls over the internet at once. VoIP Number — Offers users a unique number that can be dialed from anywhere. VoIP Depends on the Quality of Your Network — VoIP systems rely on high-speed internet to function, and that is a key piece of information to keep in mind as you decide on the VoIP product for your business. As your VoIP usage increases or telephone lines are added, your internet bandwidth usage will increase accordingly. If your bandwidth usage exceeds its limits, your quality of service (QoS) can suffer. Furthermore, if you suffer a power failure or internet outage, your VoIP phone service will be unable to make or receive calls, unlike with traditional PBX. Nevertheless, with a cloud-based VoIP product, you may be able to receive calls on your mobile device or have messages forwarded to your email or voicemail. Call Limitations — Another consideration you should make prior to choosing VoIP software is that many products are limited in terms of their ability to make emergency and international calls. Some VoIP products do not provide emergency call services, such as the 911 service, and those that do often do so for an additional charge or subscription fee. The reliability of calling internationally with some VoIP products can also prove questionable at times, though per-minute rates are generally competitive and most offer unlimited calling in the United States and Canada. However, certain calls (such as those to mobile phones outside of your network) may incur an additional charge. Up-Front Costs — There are some up-front costs to consider when choosing VoIP software, moreso with onsite products than cloud-based ones. With both onsite and cloud-based VoIP products, one relevant cost is the number of session initiation protocol (SIP)-enabled telephones. These telephones are assigned to each user in your business and allow the IP-PBX that is either on site or cloud based to route calls to specific lines. If you want to use non-SIP-enabled phones or fax machines, you will need to purchase an analog telephone adapter (ATA), but you will not be able to use some of the advanced VoIP features such as automated attendants, call queues, and email integration available with SIP-enabled telephones. With onsite VoIP systems, both the IP-PBX and the PSTN gateway device require one-time fees for the hardware as well as any fees for the installation of the devices. Audio Conferencing — Certain characteristics distinguish VoIP software from audio conferencing software. Video, screen sharing, and chat functionalities can be found as additional features of VoIP software but are key to web conferencing tools. Furthermore, VoIP software products differentiate themselves from traditional private branch exchange (PBX) with lower price points, equitable QoS, and the flexibility to add telephone lines with minimal investment. Web conferencing software differentiates itself from PBX with the ability to communicate and collaborate across video. Webinar — VoIP and webinar platforms have many of the same features with a key difference in popular use. VoIP software is most often used for one-to-one, one-to-few, or few-to-few conversations. Essentially, it’s used for calls from one person to another, or for conferences with a few parties on either side. Webinar tools are used during, well, webinars. This is a one-to-many situation wherein one speaker is putting out information to many listeners. Webinar software is popular in the broadcasting or sharing of conference or seminar talks. While VoIP tools often have call recording features, webinar tools’ recording features are more robust because they’re intended to broadcast or otherwise publish the audio. When deciding between VoIP and webinar, the most important consideration is whether you’re hosting a conversation or having one figurehead address a large audience. Internal Communications — There is significant overlap in the number of internal communications products that offer VoIP and vice versa. Many VoIP products have offered one-to-one or group instant messaging as part of their product. However, recently some internal communication offerings have added limited VoIP functionality to their products for extra channel coverage. While this overlap now exists, the difference between them is obviously the main functionality of the product in question. VoIP-focused products will provide better sound quality and additional features like call recording that won’t be found in an internal communications product. Conversely, internal communication offerings will offer more flexible and configurable instant messaging spaces than one will find in a VoIP tool.